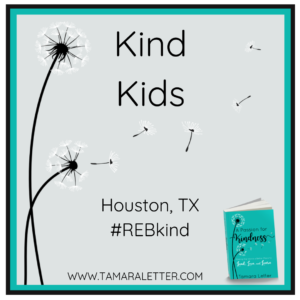 On my first #REBkind trip, I visited Houston, Texas and neighboring locations to meet kindness cultivators and learn more about character education. 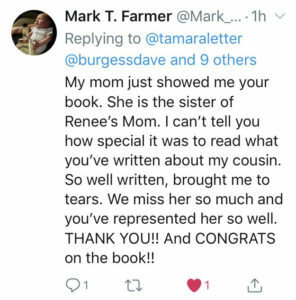 I was blessed beyond measure by the hospitality of Barbara Gruener (@BarbaraGruener), author of What’s Under Your Cape: SUPERHEROES of the Character Kind. 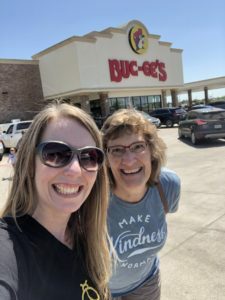 She not only opened her home to me as a warm, welcoming bed-and-breakfast, she offered to drive me around town to meet others and take in the local sights around Friendswood, Texas. Although I was in town for less than three days, we made the most of every moment! Our first stop on this kindness adventure was teaching a kindness class! 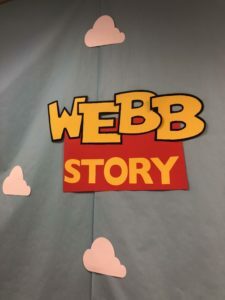 Barbara had already arranged to teach a lesson with Wendy Hankins (@MrsHankinsClass), but unbeknownst to Wendy, I was joining in the fun, too! 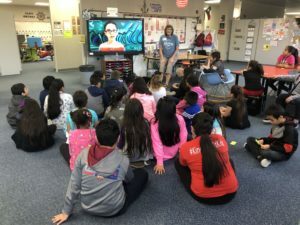 At Kirk Elementary School, they have a school-wide genius hour where students get to follow their passions and join a mixed-age group for a themed lesson. 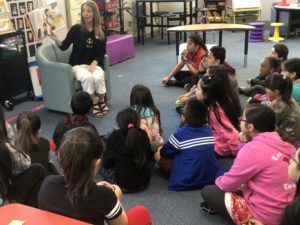 Wendy and her coworker, Christine Owings (@MrsOwingsClass), host a kindness club called Kind Kids (@KindKidsAtKirk) and Friday was their first lesson with a new group. It was perfect timing for a surprise visit! I wish we had taken a photo of Wendy’s face when she came through the door and saw us sitting in her school’s office! It was the first time we had ever met, but we hugged as if we were long-lost friends! After introductions, we made our way back to her class and Barbara and I blessed Wendy with a copy of both of our books. We took a few photos, then watched as Wendy welcomed her students to class, listening to sounds of “Limbo” playing through the laptop. We even had a chance to check out the students’ stellar dancing skills, too! When students switched to their Genius Hour groups, our “class” had expanded to nearly 40 students! WOW! 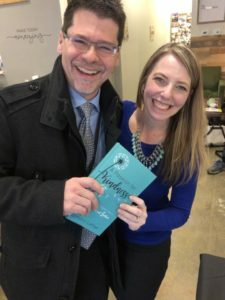 I read one of my favorite kindness stories, “Ordinary Mary’s Extraordinary Deed” by Emily Pearson, then Barbara and I shared our personal experiences with kindness, specifically how one ordinary deed could make a monumental impact on someone else’s life. 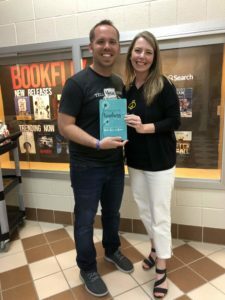 We discussed the hurricane that came through their area last school year and showcased Barbara’s student Jet Stream Jax (both of whom are spotlighted in Chapter 3 of A Passion for Kindness.) We showed them Jax’s Kind Coins video and talked about kindness rocks, kindness shirts, and how we can all become kindness cultivators, too. Wendy showed them where their Kindness Club was mentioned in my book (p. 113) and Barbara led a visualization activity so students could see the ripple effect of kindness over the course of one month. 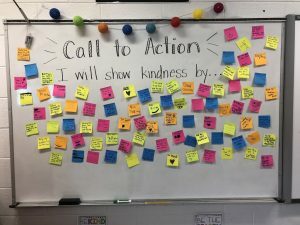 The students were excited to start sharing kindness with the world! 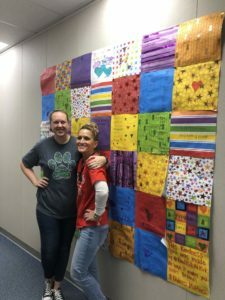 Following the kindness lesson, as students switched back to other classrooms, Wendy showed us the Kindness Quilt displayed in their school’s hallways that students had made last semester. 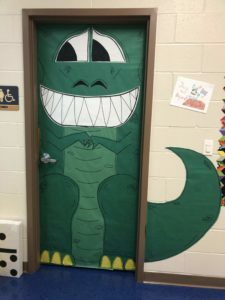 (Could you tell it was created with 12″ x 12″ scrapbook paper? So quick and easy!) Before we left, I gave Wendy a few things for her students as little reminders that every act of kindness matters. Barbara and I were filled with such joy from our visit with Wendy, Christine, and the kind students of Kirk Elementary! It was a wonderful way to start our morning of kindness! 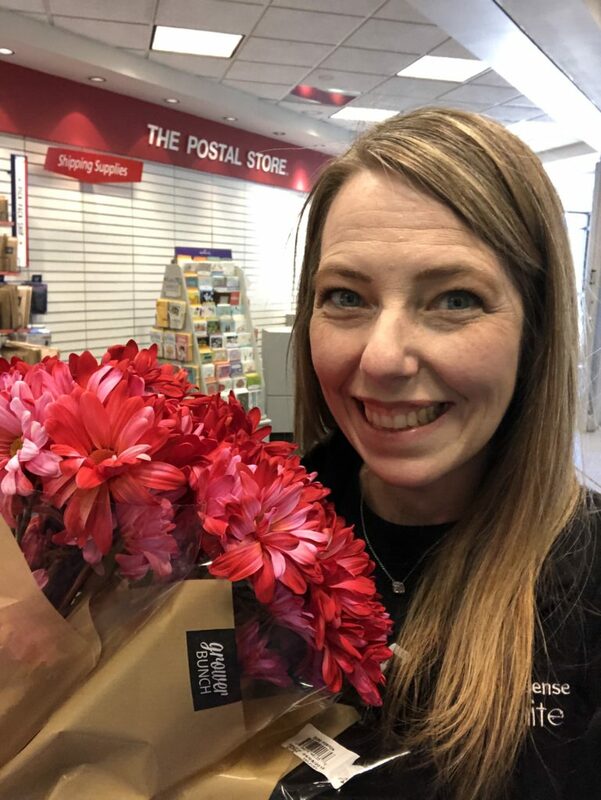 Inspired by Laurie McIntosh’s recent RAK of giving flowers to drive-through workers, I decided to bring someone flowers, too. I wasn’t quite sure who I wanted to bless, but I figured it would hit me as I went about my day. As I added my final items to my shopping list (including flowers! ), I grabbed the stack of books I needed to mail out and put them in my travel box to bring to the post office. As I was putting them in my car, it suddenly hit me – I should bless the postal workers with flowers! 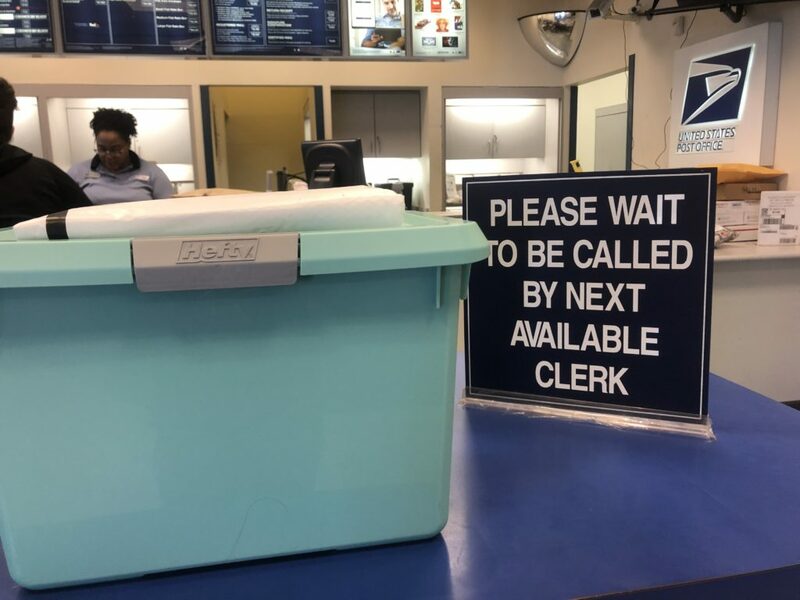 I went to the post office first as it sometimes takes a while to mail out packages and I wanted to see how many people were working at the registers today. I saw two ladies and knew they would be the perfect recipients. 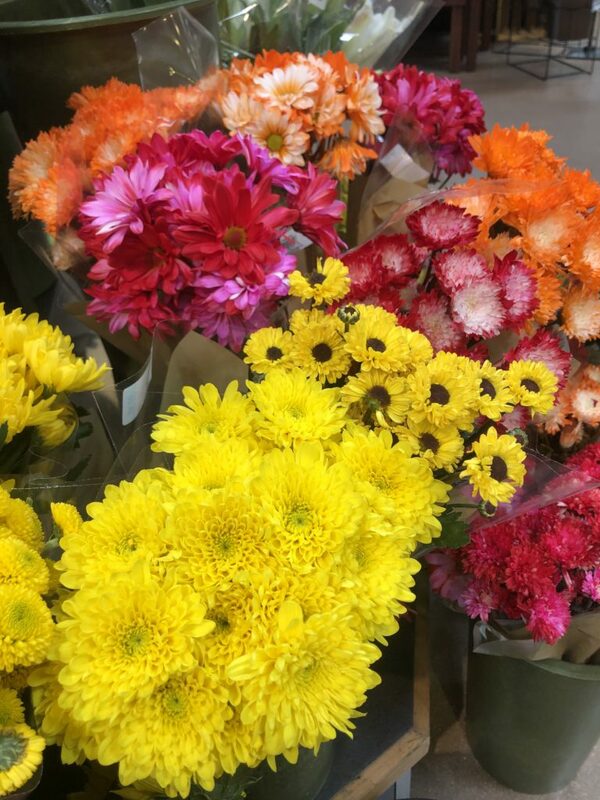 Next, I headed to my favorite Kroger grocery store and saw these beautifully bright flowers that caught my eye. I grabbed all the groceries on my list, carefully added the flowers to my cart, made my purchases, then walked back to my car. Standing outside the post office, I decided to make a live video to post on Instagram. (This is a stretch for me because live videos are a wee bit outside my comfort zone. This may shock a few of you because I love to talk and love technology!) 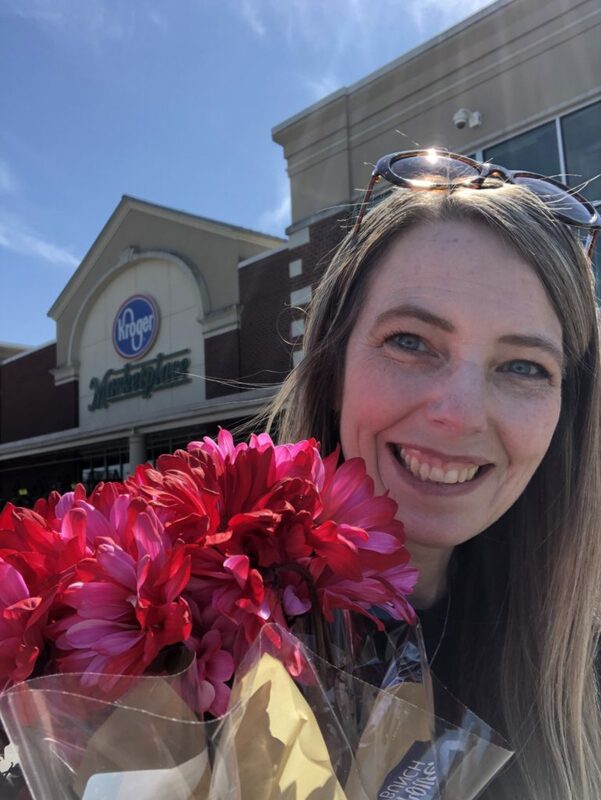 As I was fumbling with the phone and the flowers, a kind lady came up to me and asked if I needed some help taking my photo (she thought I was trying to take a selfie!) I graciously thanked her, then explained I was getting ready to take a video instead. She laughed and continued inside the post office. After explaining my RAK to those on Instagram, I went inside the post office and waited in line again, this time absolutely giddy with anticipation. 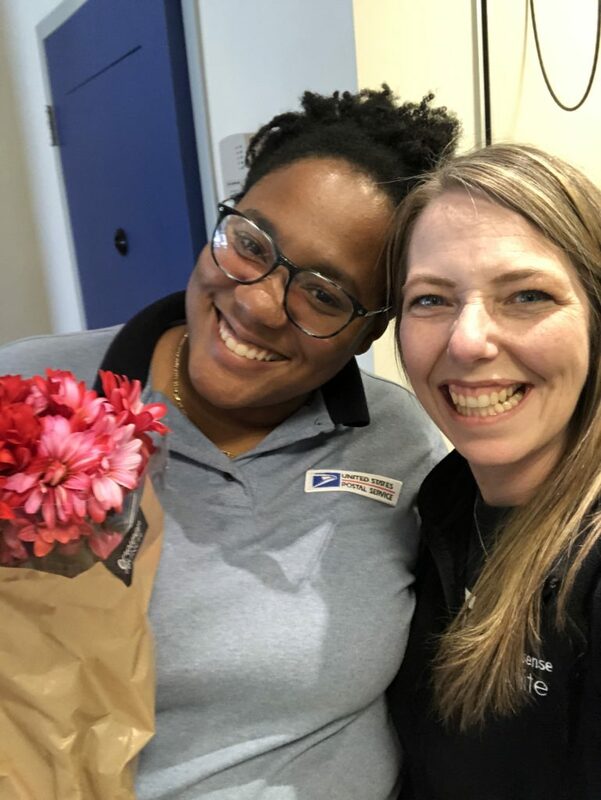 After all, how many people walk into a post office with flowers in their hands? Oh my goodness! I wish you could have seen her reaction! It was priceless! She put her hand to her heart, the shock apparent on her face, as this beautiful smile spread from cheek to cheek. 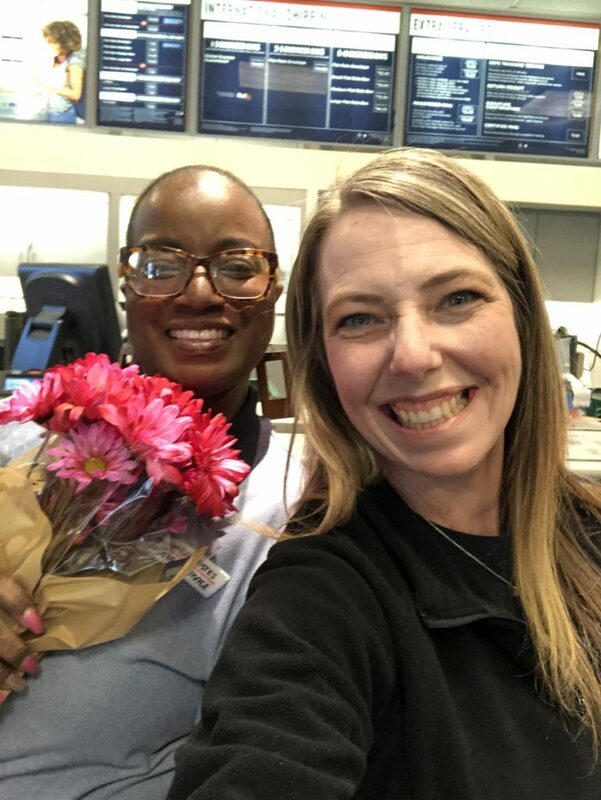 I asked if we could take a photo together and she readily agreed, coming to the front of the counter to stand together. After we took our photos, I turned to see everyone smiling. EVERYONE! Do you know how great that is to see EVERYONE around you with a smile on their face? WOW! I left the post office with a heart filled with joy and a perma-smile on my face for the rest of the day. 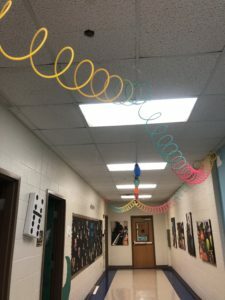 It was a perfect way to #CelebrateMonday and put a little kindness boomerang on this April Fool’s Day! How are YOU adding good to the world this week? Leave a comment and share your stories, too! 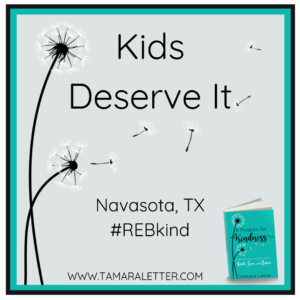 There will be a few more posts heading your way this week as I share the latest on my #REBkind Kindness Book Tour to Texas and my recent book signing events. Subscribe below so you don’t miss a single post! Three weeks ago, my life changed forever. 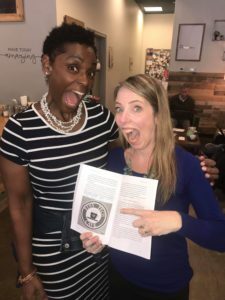 On February 14, 2019 – Valentine’s Day – I became a published author. It was a bucket-list, milestone moment that ranked almost as high as my goals to become a wife, a mom, and a teacher. It fulfilled a promise I made to my mom on the last day she was alive. Three weeks. Twenty-one days. Six months of editing, six months of writing, and a lifetime of living all wrapped up in one 270 page novel. WOW. Sometimes, there just aren’t enough words to adequately express the impact of such a moment in your world. 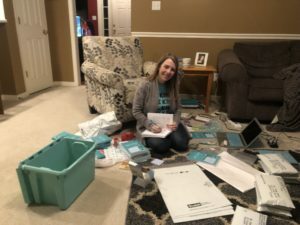 Several times in the past three weeks I have sat down to update this little website of mine, to share my joy moments with you, to shine a light on the unbelievable kindness of others, and each time I have been overwhelmed to the point of tears in trying to express my gratitude to you all. How does one begin a thank you note to the world? How does one send a hug to each person they’ve never met? How does one reciprocate the vast depth of love and joy received? 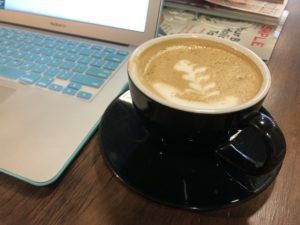 They sit in a cute little coffee shop on a rainy Friday afternoon with a perfectly crafted Dulce de Leche and simply let the words pour out on the page. The past three weeks have been a complete whirlwind in my world. I have quickly discovered that life doesn’t stop just because you published a book; if anything, the pace ramps from 0 to 60 overnight! My days continue as before, filled with lessons and collaborations, and my evenings are still rocking on with mom-mode as I help with homework and take-home projects, do laundry, and try to figure out what on earth happened to the entire package of cheese sticks I bought just days before. But now there are new adventures and opportunities woven in the mix. 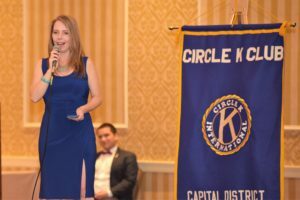 I was a Keynote speaker for the CKI Capital District Convention, speaking to 75 college students about the importance of community-based service-learning projects. I met friends and family (and a few new friends, too!) 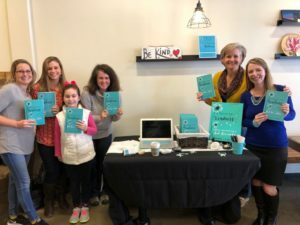 during my first book signing event at my favorite little coffeeshop, The Local Cup. I even got to meet Jason Mraz’s mom for the first time which was quite the fangirl moment for me! I moderated Twitter chats for #tlap and #122edchat and scheduled more for the coming weeks. 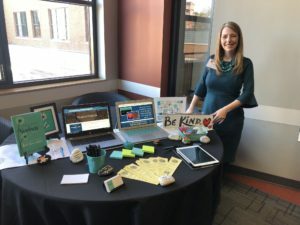 I prepared for a poster session and an Ignite presentation which I shared at our local EdTechRVA conference this week. 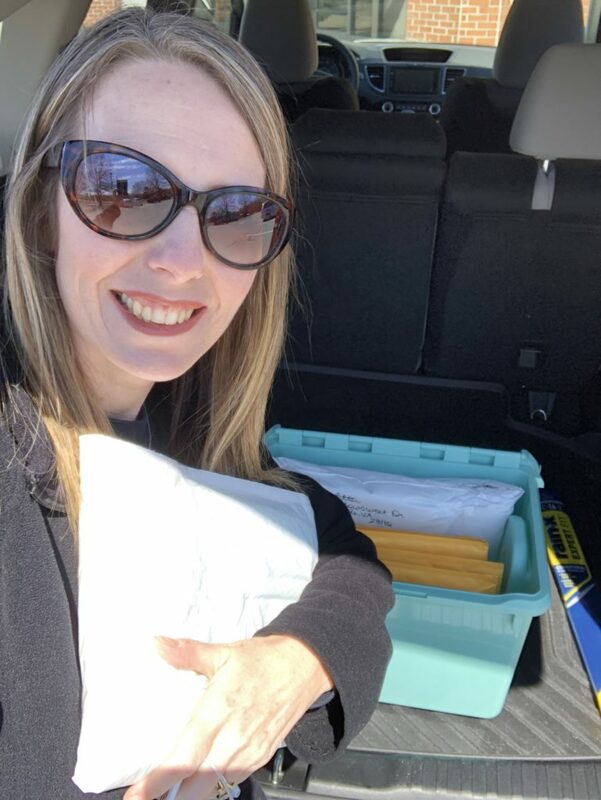 I packaged and mailed books and ordered more when I ran out. I took selfies with coworkers, signed books for students, and answered emails about my passion and my purpose. Have you met my Zumba instructor, Toni? SHE IS FAMOUS, Y’ALL! Check her out! 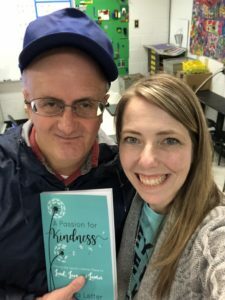 Even our retired custodian, Carter, came back to school to get my new book! I became a real author in every meaning of the word. I also learned that real authors are not immune from getting sick either, so in the midst of it all I’ve lost my voice, coughed up a lung, and gained appreciation for medical insurance to cover the cost of prescription medications. But even in the hardest of moments and toughest of times, I am reminded of the power of A Passion for Kindness. I am receiving countless stories of how this book has impacted your world. On Twitter. On Facebook. On Instagram. Face-to-face conversations, handwritten notes, and reflective blog posts. 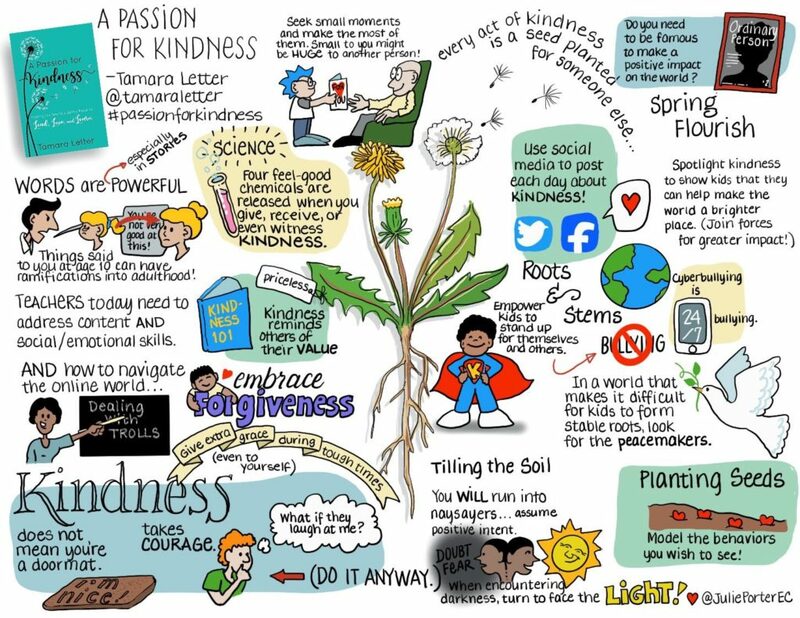 I’ve even had my very first sketchnote completed about A Passion for Kindness! 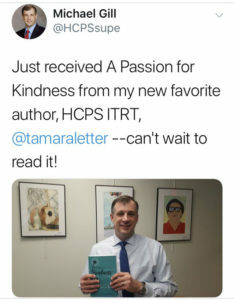 A Twitter tweet from my school district’s superintendent – Honored! A quote from my book created by Alicia Ray, who also shared her reflections about A Passion for Kindness in her #DBCBookBlogs post. 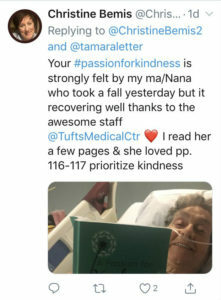 A Twitter tweet shared by Christine Bemis, with her mom and my book in the hospital. 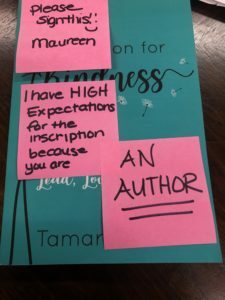 “High Expectations” – No pressure, right? A Twitter response from Renee’s cousin. Renee’s story is the heart of Chapter 6. 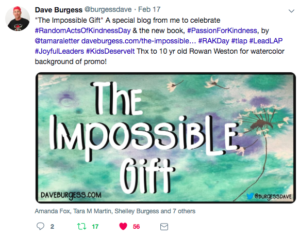 A special blog post from Dave Burgess with his reflections about A Passion for Kindness, with watercolor artwork created by 10 year old Rowan Weston, daughter of DBC author, Amanda Fox. I stopped in the grocery store to pick up a few things and the cashier congratulated me on my book. I sat in the pharmacy drive-through and the person behind me was waving her book out the side of her car window. 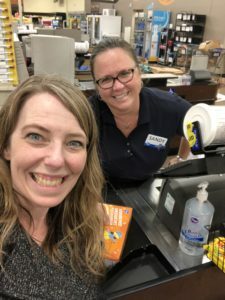 When the grocery store cashier at Kroger congratulates you on your new book, you feel like a local rockstar! Thanks, Sandy! Lovely to meet you, too! That’s the power of kindness. My joy is your joy; your joy is mine. My cheeks are nearly sore from all the smiling I’ve done recently. The past three weeks would have been NOTHING without your support and encouragement. You have celebrated each and every moment of this accomplishment, and you continue to pour into my heart with each post you share. In the coming weeks I hope to write more details of all the amazing events happening in my author life, so you, too, can join the fun. For those of you who are budding writers and aspiring authors, perhaps my stories may bolster your confidence and give you ideas for the future. For those of you who are educators, perhaps my stories will show you the power of your voice, too. And for those of you who are family and friends, well… it’s just fun to share my life with you, so thanks for staying on the train and enjoying the ride! Thank you from the bottom of my heart for all the many ways you have uplifted me and my book these past three weeks. Each of you is a thread woven in my life’s tapestry and my goodness, what a beautiful piece of artwork we are creating together! You bring joy to my soul! 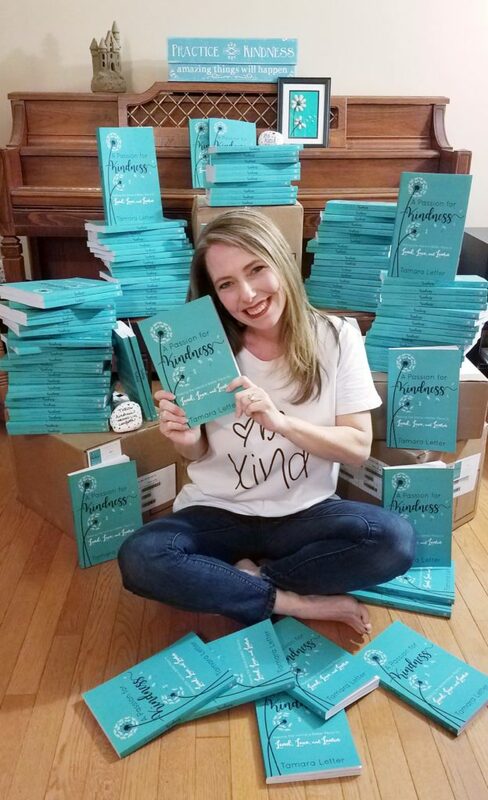 For more information on A Passion for Kindness, visit http://bit.ly/DBCkindness or click on the “Book – A Passion for Kindness” tab on this website! He received the game as a Christmas gift. With the other surprises of the day, he didn’t open the game right away, but when he did, he was hooked. 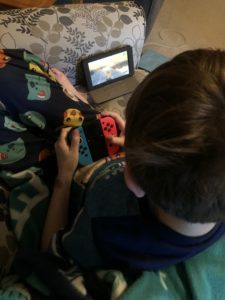 He sat for hours in his gaming chair, eyes glued to the screen, as he manipulated the controller in his hand to make the character move through one challenge to the next. He was searching for moons. He was trying to get to the next level. He was so engaged with his gaming, he didn’t hear the call to come to dinner and lost all interest in building Legos. 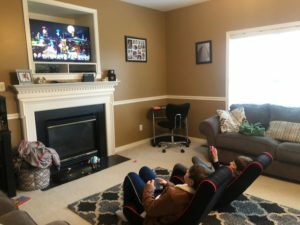 His behavior persisted throughout the winter break and into the new year as he and his older brother bargained and battled for gaming time on the device. He stopped reading books. He didn’t want to play outside. His entire focus was wrapped inside that game. As an educator, it’s easy for me to read the story above and fall into the abyss of my bias. To pass judgment on that child. To pass judgment on that parent. To shake my head and lament about life “back in my day” then make a direct correlation to the child’s gaming patterns and his average reading ability. After all, if he spent less time gaming and more time reading, he would receive better grades, become a star student, and master his standardized assessments. But this story is different. I’m not passing judgment because “that” child is mine and “that” parent is me. I’m writing this post to let you know that my child is fine, and yours will be, too. 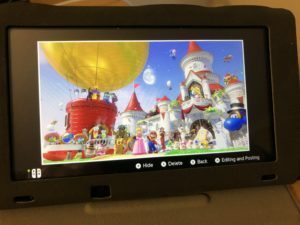 My son received a Nintendo Switch gaming system for Christmas, a shared gift with his older brother who is in high school. Both boys received a chosen game to go with the device and they have played on the system nearly every day since we got it. But here are the details you didn’t get to read above. 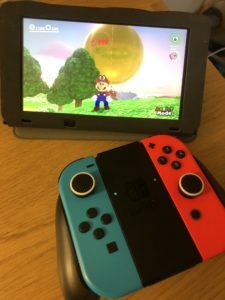 Each day my youngest son begs for us to play Mario Odyssey with him, because he knows we have a greater chance to win a level if we work together. When he’s not playing the game, he’s watching YouTube videos created by others to learn better strategies on how to master various levels with the greatest number of coins. He invited a friend over to play the game with him, something this somewhat introverted child never does, as we don’t have many neighbors his age nearby. We made the gaming day happen, and the joy on his face was immeasurable. He has battled his own frustration to the point where we have nearly sent him to his room. He has discovered that sometimes persistence and perseverance require not more grit, but a change in task and location. 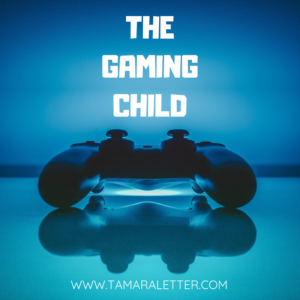 As his mom, I could have very easily placed time limits on his gaming throughout the week. “No games until the weekend,” or “Only 20 minutes today.” But I know what it’s like to be SO EXCITED TO DO SOMETHING only to be told no repeatedly. It crushes the soul and makes you resentful over time. I also know what it’s like to be at school all day, followed by hours at after-school care, when all you want is some time to yourself doing something that makes you happy. I remember what it’s like to be nine years old. As I watch my son playing his game, and invest MY time getting to know about HIS passion, I discover he’s learning things I would have never thought to teach him. He has become the teacher, and I am his student. 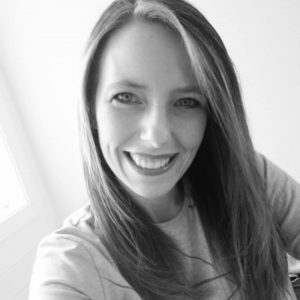 I am fiercely protective of my child, as many Momma Bears are, but I am also a seasoned educator and parent with more than twenty years of experience as both. My son will be fine. If you are concerned about your child’s gaming interests, take the time to learn more about their passion. What is it about the game that intrigues them? What challenges must they overcome to win? What keeps them coming back to play again? When my oldest son, Daniel, was obsessed with Minecraft, I discovered his innate ability to match colors and shading to create masterpieces of art. 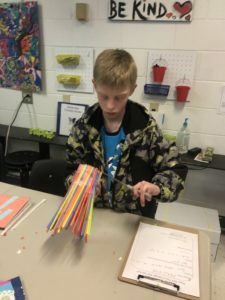 Hours of designing and creating sparked an interest in engineering and chemistry, both of which he is exploring in high school. 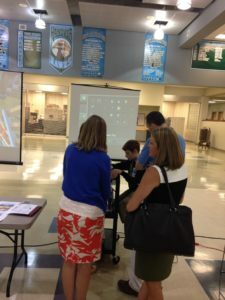 In fact, he once spent an entire afternoon presenting at our district’s Leadership Conference about how to use Minecraft to teach math and science. When he was in fourth grade. 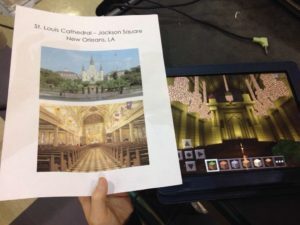 Daniel first designed the inside of the St. Louis Cathedral in New Orleans, LA (notice the complex shading and symmetry from Minecraft blocks). Daniel then designed the outside of the cathedral wrapped around his previous creation, all from looking at this photo. Daniel showing district leaders how to apply Minecraft to math and science during our district’s annual Leadership Conference. As I look across the room at my youngest child, Caleb, I am mesmerized by his ability to remember exactly which kingdom has which star power and his intuitive skill at reading various maps to discover the treasure he seeks. And just this week, this same nine year old did something I didn’t think was possible. He actually beat the game. 999 moons. 43 souvenirs. 82 music tracks. Bowser was defeated and he had the joy of seeing every variety of bird on the final ledge, including the elusive penguin. He even received a digital celebratory postcard showing every single character displayed in the game. The level of pride my son has for achieving this goal rivals that of student who has received a Principal’s List award at a school assembly. He knows the satisfaction of accomplishment. He can put together a 1200 piece Lego set and meticulously create masterpieces with Perler beads, much like his older brother. Perhaps, just perhaps, he is bound for a greater success than I can even imagine in a career that hasn’t yet been created. 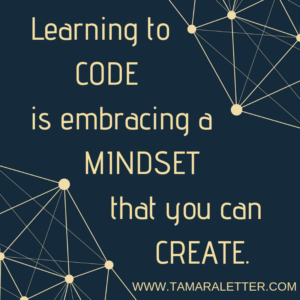 It makes me ponder my own instruction as an educator, and wonder if there’s a way we can link this gamification mindset to required curriculum standards in such a way that students can apply these skills to the classroom, too. Are we really preparing our students for future success in this digitally enhanced world? I don’t have answers, only insights to my child. I don’t have judgment towards you if you raise your child a different way. I’m simply bringing to light my experiences and putting them out there from my perspective as I support my child’s passion and celebrate his success. He’s going to be just fine. 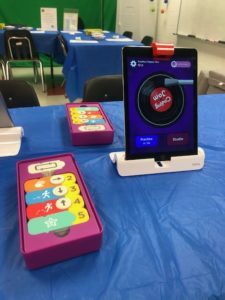 As a technology integrator and instructional coach, much of my interaction with teachers is supporting them in their efforts to use technology in their day-to-day work with students. Their technological expertise ranges from novice to advanced, so each collaboration is personalized to take them from whatever level they are currently at to helping them reach the next level. The goal is to push up a notch, not push off a cliff! Many subjects align nicely with technology. Digital writing is a great way to reinforce grammar and composition skills. Recording reading makes oral fluency more relevant and easier to assess. 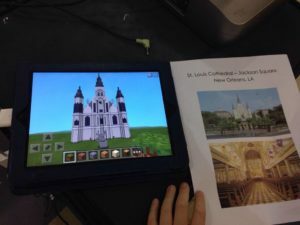 Interactive activities that layer text, photo, and more provide students an opportunity to create products to showcase their learning in ways that didn’t exist before. There are times, however, when we need students to engage in learning experiences that may not be directly tied to testing standards. That’s when it gets a little tricky, because we all know how limited that precious commodity of time is with jam-packed schedules and multiple pacing guides to follow. In Virginia, we do not follow the Common Core curriculum. Instead, we have our own state guidelines called the Virginia Standards of Learning (SOLs). 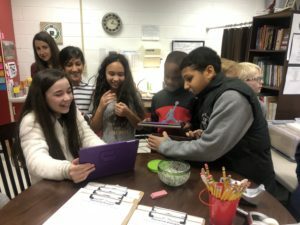 In November 2017, our state approved Computer Science Standards of Learning for all grades K-8 with specific course standards for the high school level. 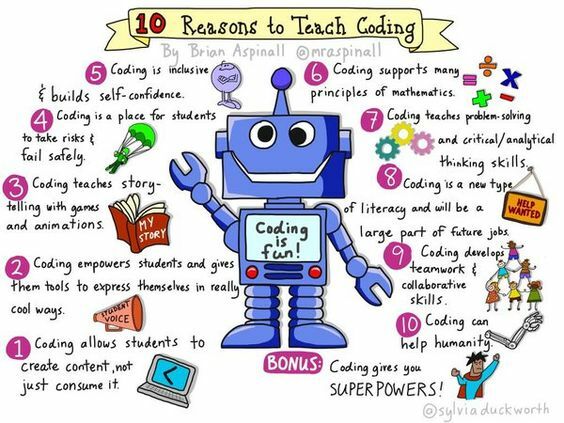 A quick glance of these standards might give a general classroom teacher heart palpitations as the verbiage is tough to deconstruct if you are not familiar with technical computing language. Understanding these challenges, coupled with the reality that I am only available in one school 2 days a week (with an occasional 3 day week here and there), I have to get a little creative to find ways to support teachers for their requests while also providing additional experiences that bring non-tested curriculum directly to the students. Enter the world of collaborative coaching. 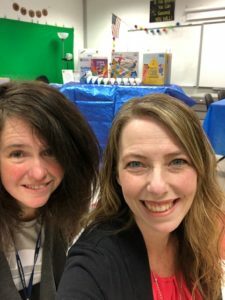 Several times a month I sit down with the gifted-talented teacher at my school, Maureen Ambrose, to compare notes on lessons we are doing with teachers and students. 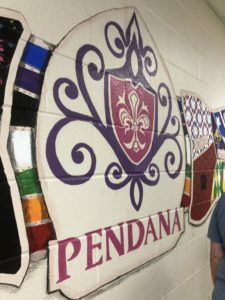 When we first began our collaborative planning sessions last year, we mainly touched base to make sure we were on the right track and brainstormed ideas; now we use the time to extend our conversation to creating unique learning experiences for individual classes and grade levels as a whole. 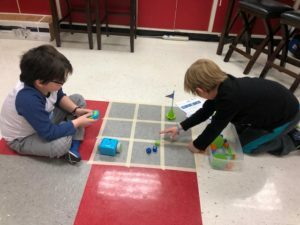 It started with Pirate Day in the fall, where we used a common theme to focus on three learning experiences using technology, one of which was coding with Ozobot robots. Each station was led by either me, Maureen, or the classroom teacher. We offered Pirate Day two days with flexible signup and it was so popular we will offer it again for another two days this spring! 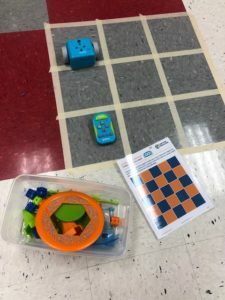 Robot Coding – Create a sequence code using designated cards, then input the directions into a remote control and watch the Botley robot move from start to finish. If the output doesn’t work the first time, analyze the code and debug to try again! 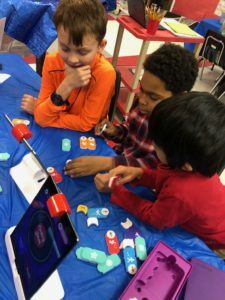 Coding is My Jam – Using the Osmo “Coding Jam” block coding kit, work with a partner to create unique beats for various instruments to design a new musical soundtrack! 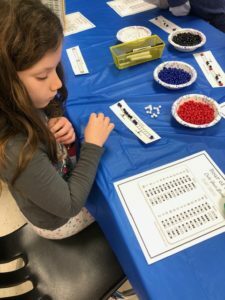 Binary Bracelets – Discover the wonderful world of binary code! 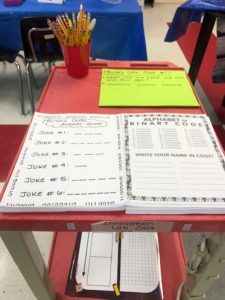 After a brief overview of the history and purpose of binary code, use a basic binary coding sheet to create an 8-bit code identifying your initials. 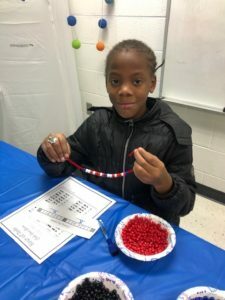 Then, after planning out your design using a basic storyboard, replace the code with colored beads to string on a pipe cleaner, creating a “readable” coding bracelet. 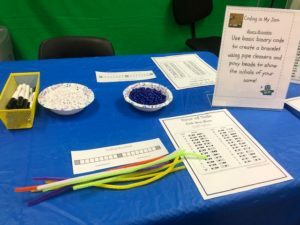 If time allows, you can complete extension activities to create a secret message for a friend using binary code or answer riddles by deciphering the coded answers. We created squares on our tile floor for Botley to maneuver through. A quick photo of Maureen and I before all the fun begins! 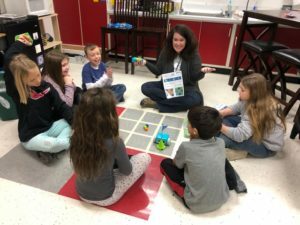 Prior to our coding day, Maureen visited each third grade classroom to read the book, How to Code a Sandcastle, and play an unplugged coding game called “Let’s Go Code” to build a bit of coding background knowledge. It was a quick interactive intro to hook them in for what was to come! 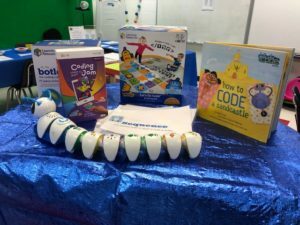 When Coding is My Jam Day arrived, students entered our coding studio and sat on the floor as Maureen provided a brief overview of each station. 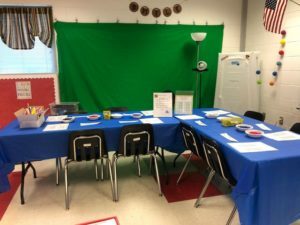 During that time, I took the classroom teacher to her station and shared details in how to guide students in their learning. We then began the rotations, using a timer on our cell phone to notify us when it was time to switch stations. 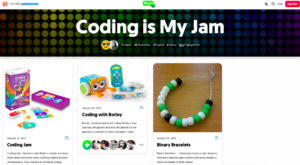 We made sure to include a brief discussion at the end, emphasizing the challenges and lessons learned in coding. 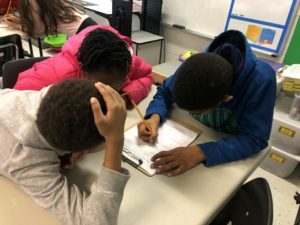 What I love about this three station model for learning is that every single student in the class gets to experience every activity in a way that encourages communication, collaboration, critical thinking, and even creativity. 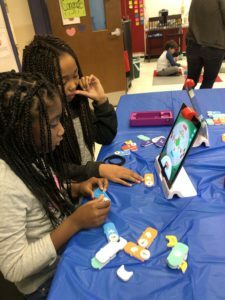 There is equity in access to the technology and having three adults in the room helps to guide conversations and pitfalls that inevitably occur. Testing the output to see if there are any bugs in the code. Lots of critical thinking when the levels get harder! Collaboration makes block coding fun! Creating the binary code as a story board before creating the bracelet. For the classroom teacher, it was a 75 minute commitment (30 minute pre-lesson one day and 45 minutes on the Coding is My Jam day), but hit on several of the Computer Science SOLs which actually maximized the time spent. 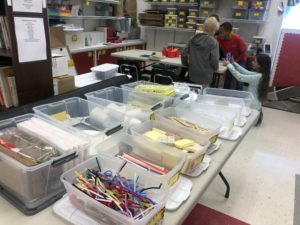 Best of all, we had no behavior issues for either experience, as all students were actively engaged exploring unique tasks that challenged their thinking in a non-threatening way. 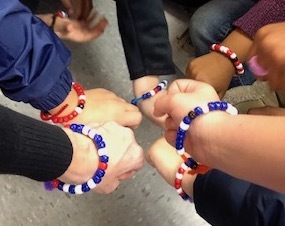 We even saw several students wearing their binary code bracelets throughout the week! While there was a bit of work on the pre-planning side (you don’t host an adventure like this without having a strong plan of action! ), the actual day of implementation was relatively easy and provided flexibility for Maureen and I to rotate through the other stations offering additional support. We also captured the learning with quick videos to a Flipgrid grid with three topics for the stations we used. We look forward to offering additional learning opportunities like this throughout the year and encourage others to give it a go, too. 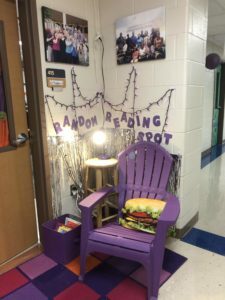 You might be surprised how much joy can arise from three little stations in your day! 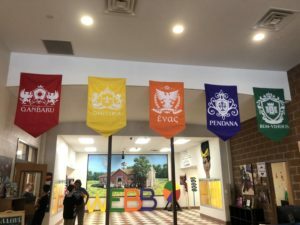 We also want to give a huge “Thank You” to the Virginia Professional Educators for supporting creating learning experiences such as this and providing funding for us to purchase materials to make this day a success! Having reliable transportation is a necessity in this day and age. From work to play, we all need the certainty that we can get from here to there. For the past three years, I’ve driven this car with very few issues. 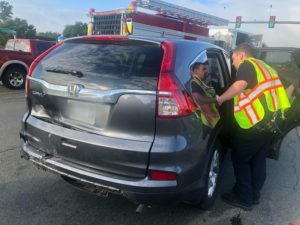 Then in September 2018, while sitting at a stoplight less than a mile from our home, we were rear-ended and pushed into the middle of the intersection, a result of a three-car accident. The first responders were gracious and kind, checking on all of us to make sure we didn’t have any injuries. Of the three cars involved in the accident, ours was the only one that wasn’t totaled by the impact. First responders showing kindness as they check on our children in the backseat. Car compassion = free admission! Our car was rebuilt and I was back on the road again. In October, I had my interview for the R.E.B. Award for Teaching Excellence to answer questions before a panel about my love for teaching, my passion for kindness, and my project proposal set before them. That afternoon was a bit of a mad scramble as I met with a teacher after school, providing a short personalized professional development session, then had to pick up my youngest child from daycare before heading home to change clothes and drive across town to arrive in time for my scheduled interview. As I drove across a bridge, my son safely secured in the backseat, I heard a pop and felt the car shake. I quickly guided my car to the side of the road right after the bridge and got out to assess the damage. Sure enough, my back rear tire was flat. My first instinct was to panic and scream, “I HAVE TO BE AT THIS INTERVIEW! 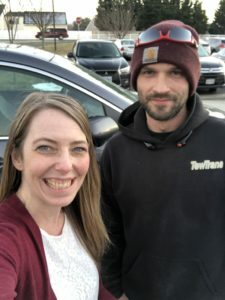 !” Instead, I calmly called my husband, who was on his way to the high school to pick up our other son from cross country practice. My next call was to my dad. “Can I borrow your car? I need it immediately!” It took a few moments for my words to sink in, after all, how many forty-six year old adults call their dad and ask to borrow the car? We quickly worked out logistics and I made it in time for the interview. 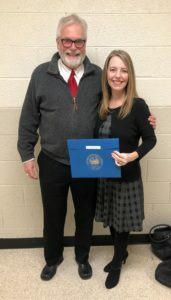 Best of all, my dad was there when my school district honored me as a 2018 R.E.B. Award for Teaching Excellence recipient. Without his kindness, I would have never made it to the interview and would not have had an opportunity to share my passions with others or win this prestigious award. What caused that tire to deflate in an instant? 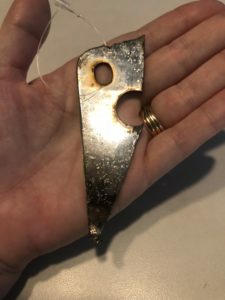 An unbelievably sharp piece of metal that could have caused even more damage to someone else. This was wedged in my car’s tire. In November, as I was in a planning meeting with two other teachers, I heard an urgent call over the loud speaker. 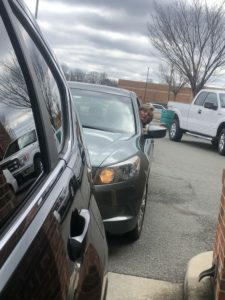 “If you drive a Honda CRV with license number… please report to the faculty parking lot immediately!” My stomach instantly dropped because I knew it was my car. As I approached my car, a small crowd started to gather, curious to see what happened. 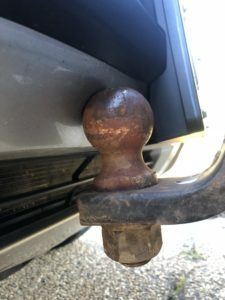 Apparently a truck had backed into a parking space and gave my car a little “love tap” with the hitch on the back of his vehicle. There just happened to be a police officer there in the moment who took down the information and reassured me that the damage to my car was minimal. Several teachers offered empathy and compassion as they inquired about my car, checking in with me that day and the days that followed. Remembering the superstition, “Bad things come in threes,” I figured I had paid my car troubles’ dues and could breathe a little easier. Until this week, when my car wouldn’t start in the daycare parking lot. Empathy and compassion are the cornerstones of kindness. 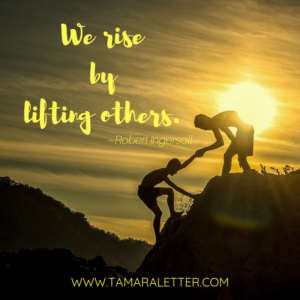 May we all look for opportunities to uplift and inspire human kind. 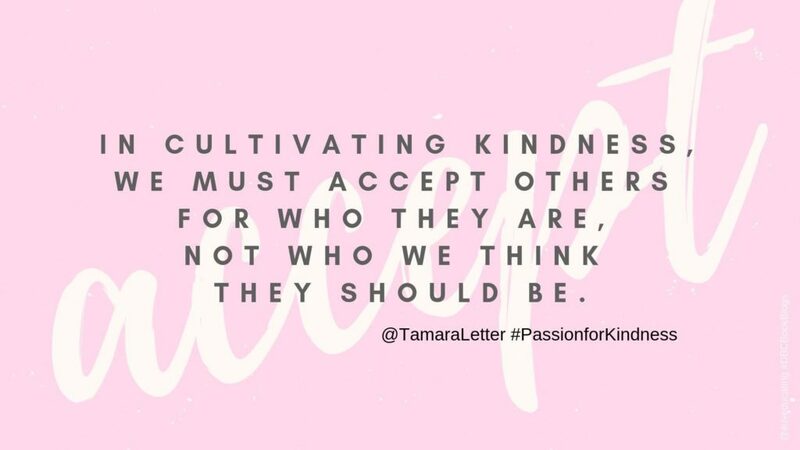 In our Passion for Kindness Facebook group, we share uplifting posts and videos we see online. Often, it’s kindness given, received, or witnessed. Sometimes it’s a quote of inspiration. I love to see which posts resonate with others. I find that surrounding myself with positive people, even on digital platforms, helps to focus on the good instead of the bad. About a month ago, I came across a video of a color-blind man receiving a gift from his family: specially crafted glasses that would allow him to see the world around him in vibrant hues of brilliance. As he eagerly unwrapped the glasses and put them on his face, his demeanor completely changed, the drastic change to his sight rendering him speechless, in tears. 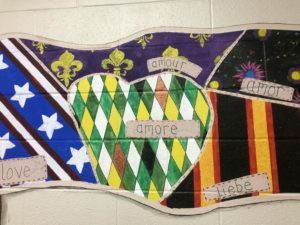 I wanted to bring this concept of Innovative Kindness into the classroom, so I created a lesson that would showcase examples of innovations sparked by the kindness of others then lead into a discussion of empathy and compassion. 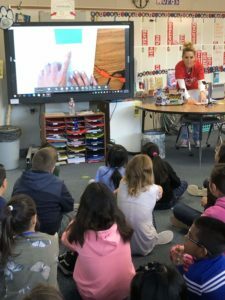 With students in Mrs. Cross’, Mrs. Miller’s, and Ms. Miller’s classes, we viewed the video of the color-blind man then watched another video of a cat whose owners created a wheeled attachment for his paralyzed hind legs, adding ramps throughout their house to overcome climbing steps. His owners even adapted their innovation to include a handle, so they could assist their feline when he had to climb multiple steps in a row. We discussed those key words: empathy and compassion. For nine and ten year olds (and even adults!) the words are sometimes used interchangeably. 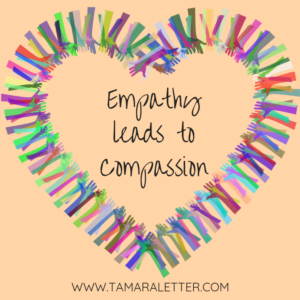 We spent several minutes showing how empathy – that feeling of relating to someone else’s struggle or pain – can lead to compassion, which is empathy in action. 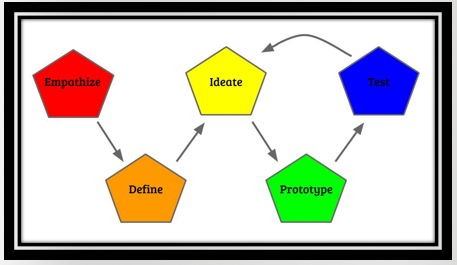 We then related those words to the design process, how kindness in action sparks innovation. 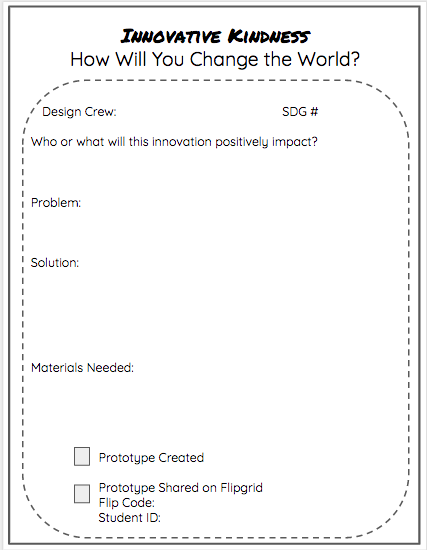 Our classroom conversations shifted to the power of innovation in making the world a better place for others. 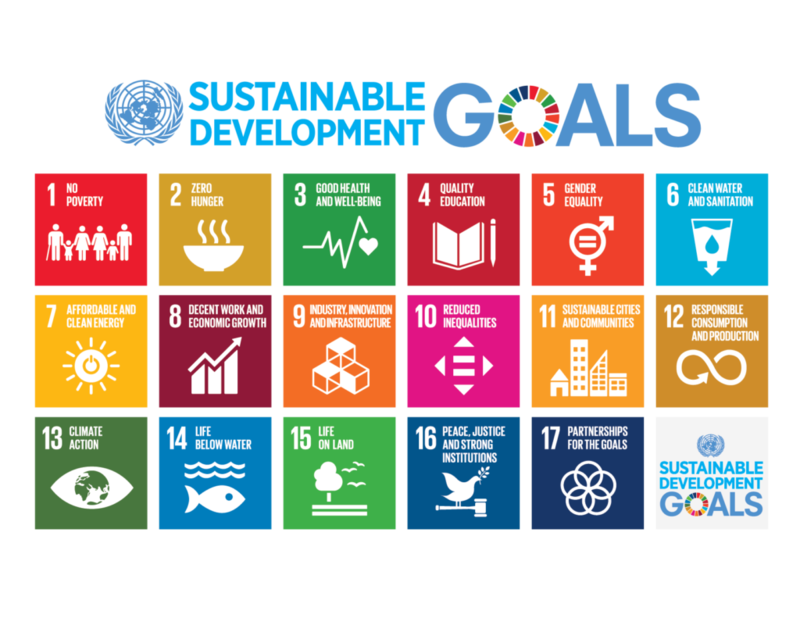 I shared the graphic below as an introduction to the 17 Sustainable Development Goals (SDGs) of the United Nations. We discussed world problems and their impact on humanity. We shined a light on our lives in the United States and the many things we might assume others have like water fountains and quality education. We pondered the challenges that children in other countries face daily. We then decided that we wanted to change the world, too. Offering students the choice to work independently, in pairs, or with a small group, we challenged them to identify a problem and create a solution, focusing on the who before the what. 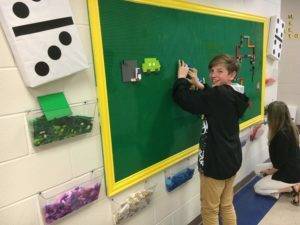 We provided Design Crews with a note sheet to record their planning, then we set them loose in our Innovation Lab’s makerspace – free to use any materials for any purpose. The greatest constraint they faced was time; they only had 20 minutes to create a plan of action and design a prototype. 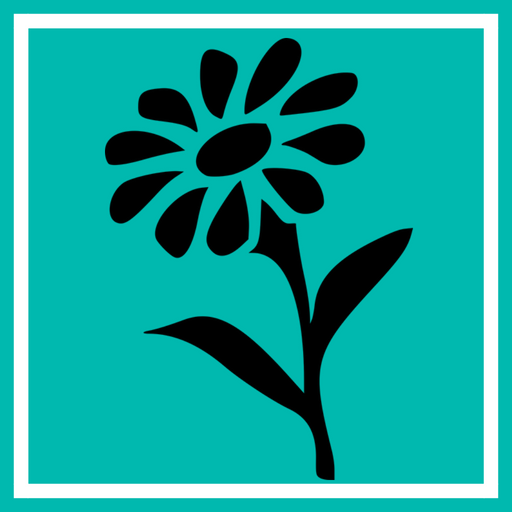 To download this FREE template, visit http://bit.ly/KindTempShare. It was incredible to see how quickly our students dove into this activity. They were so engaged! 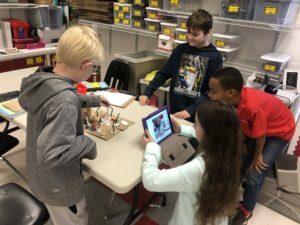 Their collaborative efforts quickly came together as they communicated with the group, one person often refining the ideas of another after testing out their prototype. Their excitement was contagious! They all wanted to share their innovations that would improve lives of people, land animals, and aquatic life. 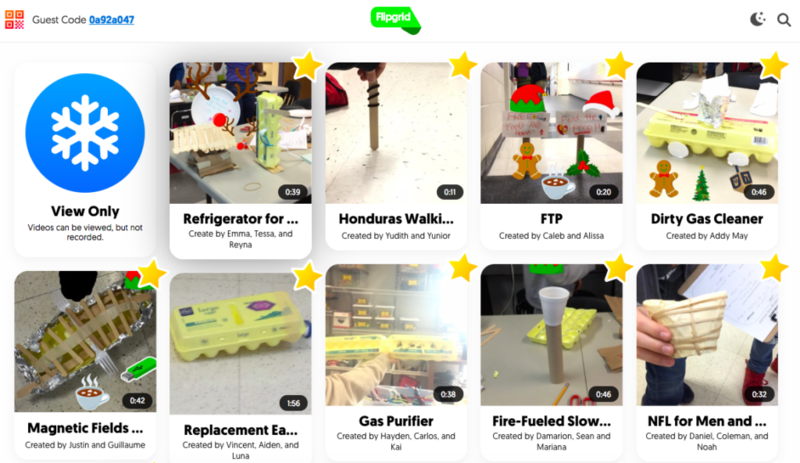 With the remaining time in class, we guided students in using Flipgrid (many for the very first time!) to capture their creations with voice and video. They loved seeing each other’s videos! Many times teachers are hesitant to dive into hands-on projects citing lack of time or availability of resources. However, to transform learning experiences for students, we must make student agency a priority. 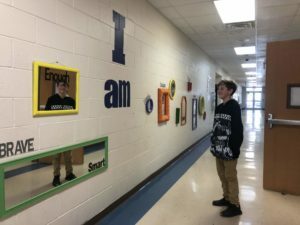 In Learning Transformed: 8 Keys to Designing Tomorrow’s Schools, Today, Tom Murray and Eric Sheninger challenge us to “empower kids to own their learning (and school) through greater autonomy. It is driven by choice, voice, and advocacy.” When you find value in designing lessons with this purpose, you find a way to make it happen. 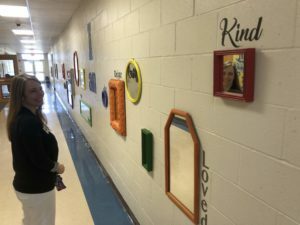 Through our Innovative Kindness lesson, students had an opportunity to take grade-level state standards and apply them in new, unique ways. 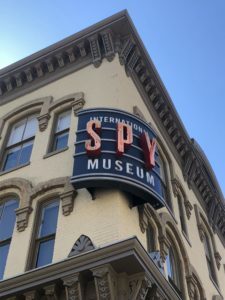 They made connections to prior content regarding conservation, natural resources, and recycling. 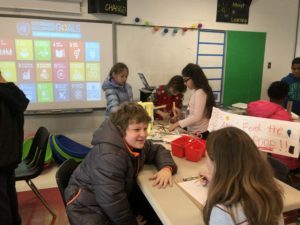 They also practiced the 5 C’s of communication, collaboration, creativity, critical thinking, and citizenship, all within the confines of one sixty-minute class period. I would love to know ways you are shifting the focus towards student agency and innovation in your lessons. Comment below and share your inspirations! Together we can transform learning, one lesson at a time! Last week a dear friend messaged me, apologizing profusely for mispronouncing my name during a podcast recording. Instantly, I felt empathy for her because I know very well the internal angst you feel in that exact moment of error. I laughed it off with reassurance that she wasn’t the first and she wouldn’t be the last. People mispronounce my name ALL the time. They don’t do it to be disrespectful. They don’t do it to be mean. They simply don’t know the way my mom decided to pronounce it when she completed my birth certificate so many years ago. 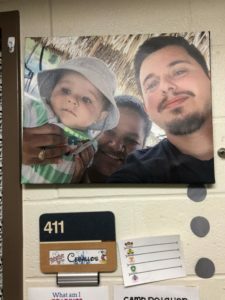 There have been many posts on social media about the importance of learning students’ names and pronouncing them correctly. I agree wholeheartedly that calling someone by their name – and saying it they way they prefer – adds a level of value to their day and reminds them that their name is important, therefore they are important. It matters to children. It matters to adults. No debate there. I know the importance in learning someone’s name. I also know the importance of giving someone grace when they mess it up. So allow me to share a little vulnerability: I really struggle to remember all your names. And how they are spelled. And how they are pronounced. I am in awe of those people in my world who have instant recall for everyone they’ve ever met. They match faces with names like Memory cards, winning each game they play. I’m still trying to figure out why my Memory card is bent. I have a weak link for recalling names (and multiplication facts, and my assigned lines in a theatrical production, and pretty much anything else that requires memorization.) I never used to address people by name unless I had to. 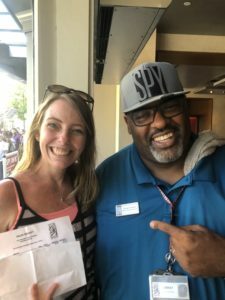 Yes, I knew it was the polite and respectful thing to do, but the fear of saying a name incorrectly (or even worse – saying the wrong name or no name at all) kept my conversations nameless. I avoided introductions at all costs and mentally pleaded for name tags to be provided everywhere I went. Despite my brain block, I do know who you are. I recognize your smile and the way your eyes light up as we speak. I instantly recall shared memories and moments, but for whatever reason your name might remain in the shadows of the corners of my mind. I wish I could change that about myself. I work diligently to overcome my weaknesses. And yet… they still persist. About a month ago, I was at a district event where I had invited my dad and his girlfriend to attend. I was introducing them to an educational leader, one whom I’ve known for years. I’ve worked with her on committees and supported initiatives in her building. But in the moment of introduction, I simply couldn’t recall her name. My brain went blank. 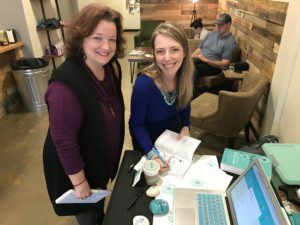 There was an awkward pause as I prayed for God to save me and He did – the educator smiled at my family members and introduced herself as if no one even noticed my vocal paralysis. I recently read an article about Raisa Patel whose name is constantly mispronounced and it resonated with me for several reasons. I felt her pain of a mispronounced name. I felt my embarrassment knowing I’ve caused that feeling for others. I felt a little less alone when I learned about her classmate who resorted to writing down her name phonetically to make it easier to remember. In fact, you will often find me jotting down notes in my little aqua blue notebook. It’s one of the coping strategies I’ve created for myself over the years. Like several of you, I grew up with a nickname. People called me Tammy, but with a catch. My mother spelled it Tammie. My teachers spelled it Tammy. Very rarely did the two spellings align. Sometimes it annoyed my mom, but most times we just overlooked the error and didn’t get riled up. When I moved up from elementary school to junior high, I wanted to set myself apart from the crowd, be a little different, discover my uniqueness. I decided to change the spelling of my nickname the way I wanted it spelled. I dropped the final “e” and started writing Tammi on all my papers and hoped it would catch on with others. In 9th grade I joined the marching band and discovered a clarinet player whose name was Tami. The only difference between our names was that she was born Tami, not Tamara, therefore she had greater claim to the name. 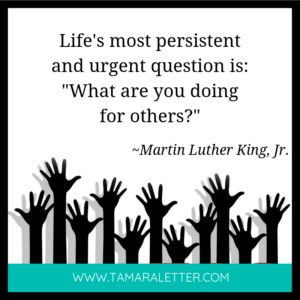 I remained Tamie to all my friends and relatives through high school and into college. Then I became engaged and realized my identity would change again as I took on my fiancé’s last name. That’s when I decided to give the real name a go as I reinvented myself one more time. Switching names was easier than I anticipated as I got married and moved to another state. 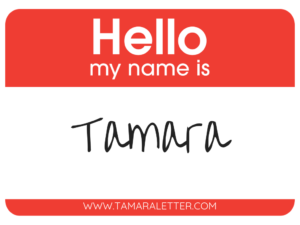 I felt comfortable introducing myself as Tamara instead of Tamie and those whom I met were never the wiser of my 20+ years spent with a different name. 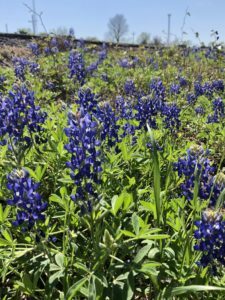 Until I moved back to my hometown twelve years later and my two worlds collided – those who knew me as Tamie and those who knew me as Tamara were now living in the same town. The running joke in my family now is trying to guess which way my dad will spell my name on my birthday card. Each year it’s different and it always makes me laugh. What should we do when we make a mistake with others? When we mispronounce a name or fall into the abyss of nameless darkness? When we’re not sure how to spell it, how to say it, how to recall it? Take a breath. Apologize. Ask them to repeat it. Acknowledge that you may mess it up again, but you will keep trying to get it right. Then stop fretting over the mistake. Give yourself some grace, move on, and for the love of all things sane, please don’t berate others who are trying their best. 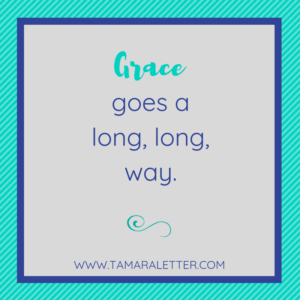 We are all works in progress and grace goes a long, long way. The next time you see me at the grocery store or at the end of a presentation, please come up and introduce yourself. It’s OK if you say my name wrong. I won’t correct you because at the end of the day, it’s all good. You won’t hurt my feelings by pronouncing my name wrong. I would much rather you say, “Hi,” messing up my name in the process than never saying, “Hi,” at all. Do you make New Year’s Resolutions? How does that work out for you? Do you make it to the end of the year with completed checkboxes? Are all your line items marked off the list? For me, New Year’s Resolutions result in failure. I used to create a long list of goals I wanted to accomplish, my Pollyanna optimism confident in my ability to complete each one. January would start off with a bang. February would bring about some challenges. By March and April I was drowning from the riptide and by June and July I couldn’t even tell you what my initial goals were, they were so long sunk to the bottom. When I made New Year’s Resolutions, I created a year of frustration with unfulfilled, unrealistic expectations. It impacted my self-esteem and did absolutely nothing to help me become a better version of myself. Then, the eureka moment. As 2015 came to a close with 2016 around the bend, I embraced the concept of choosing one word to focus on for an entire year. It completely changed my perspective of resolutions. What’s fascinating in choosing a word to focus on is that is really does become a part of your soul. When I selected “joy” for 2016, I embraced it in every way possible. I became an honorary Joy Ambassador, following the examples set by Akilah Ellison and Theresa Holloran. 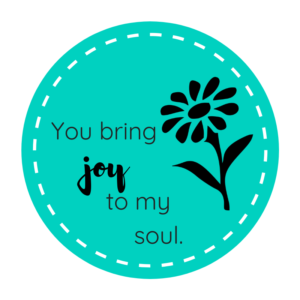 I referenced joy in my blog posts. 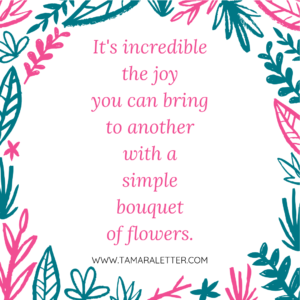 I was drawn to all things joyful and it really helped me get through a tough year. In 2017, “resilience” reminded me that I could survive the lowest of lows. 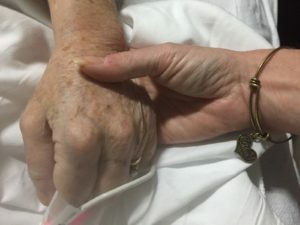 I held my mother’s hand as she took her final breath, then found a way to keep moving forward. 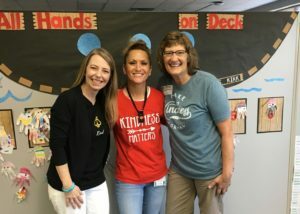 I celebrated a second year of Kindness Passion Projects at our Kindness Share Fair with forty students and their teachers, Lori Cross and Jennifer Madison, then presented with Lori and Jennifer at our district’s first Inspire conference. Visitors at our Kindness Share Fair completed a Call to Action leaving notes of how they will scatter seeds of kindness in the world. I was awarded Teacher of the Year for Mechanicsville Elementary School and advanced to the finalist round for our district, a first for a technology integrator in our school system. I survived a near-frigid rafting trip in a paradoxical thunderstorm down the Snake River in Jackson Hole, Wyoming, then survived five days of disconnect deep in the heart of Yellowstone AND a saw a black bear. I love my ITRT team so much! I completely overhauled my website and my Instagram account. 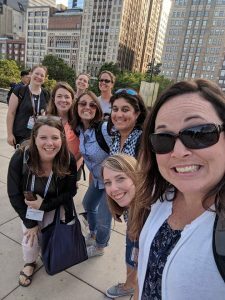 I created a Facebook group about kindness and wrote 39 blog posts about my adventures throughout the year. While losing half my summer break days with a job switch to an 11-month contract. In 2018, I survived the one year anniversary of my mother’s death then mourned the loss of my precious neighbor, Ashton, who passed away at the age of 16. 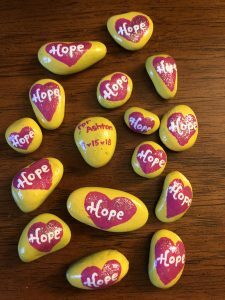 16 Hope rocks created in memory of Ashton Friedl to hide around our community. I received the R.E.B. Award for Teaching Excellence to cultivate kindness for global impact, which will take me across the United States and Canada in 2019 and 2020. I presented four sessions at the VSTE conference, including a closing Ignite, while also leading the conference’s social media committee with the amazing Margaret Sisler. 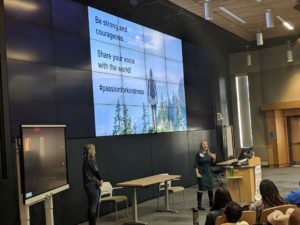 I presented twice at our local EdTechRVA Conference earlier in the year as well as led a multitude of PD sessions for my district. 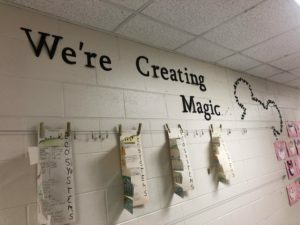 I wrote an article for DisruptED TV Magazine and recorded podcasts with Character Speaks, Edustations, and The Kindness Podcast. Looking back, I’m in awe of all the opportunities I had to inspire others through my words and actions. 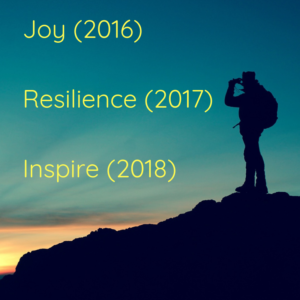 Even though I did all these things in the course of a year, my greatest insight about the word “inspire” came when I stopped to reflect on each item listed above. I couldn’t have done any of them if I didn’t have the support of others. See, it’s easy to view the end result and stand in awe at the person waving the flag on the top of the mountain. But what about all the safety harnesses the person wears as he scales the walls to the top? What about all the slips that occur from not having your feet firmly planted or misjudging the weight a rock can hold before it crumbles? What about the times when the top seems unreachable and you don’t know if you will ever make it through? In my 2018 journey, I made several mistakes and encountered failure along the way. What kept me pushing through wasn’t my willpower alone, but the encouragement of my friends, coworkers and virtual PLN. 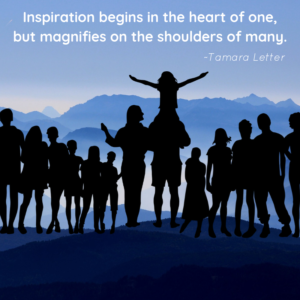 Inspiration begins in the heart one, but magnifies on the shoulders of many. Every single thing I did last year was the result of some form of collaboration with amazing people in my world. Perhaps it was a conversation or a brilliant moment of connectivity. Maybe it was the result of weeks laden with brainstorming, planning, and preparation. Quite possibly, it was the culmination of a lifelong journey of passion, persistence, and patience. This year, I want my words and actions to uplift others. I want to cheer you on and celebrate your accomplishments. I want to help you take that next step when you are filled with fear. I want to help you rise, help you soar, help you make your wildest dreams come true. I want to be here for you, in the way others have been there for me. Together we can make 2019 the most amazing year ever! 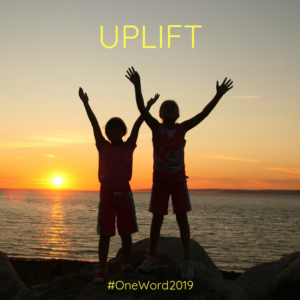 Do you have a #oneword for this new year? Leave a comment to share your thoughts! I would love to know your focus word, too!